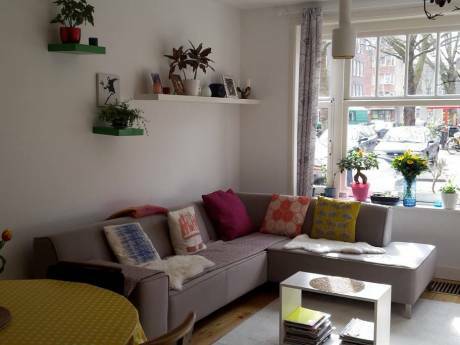 Bright and fresh single bedroom apartment with a living room, dining room, kitchen incl. refrigerator, microwave & cooking facilities & bathroom. Located in the nice & quiet but vivid south of Amsterdam. 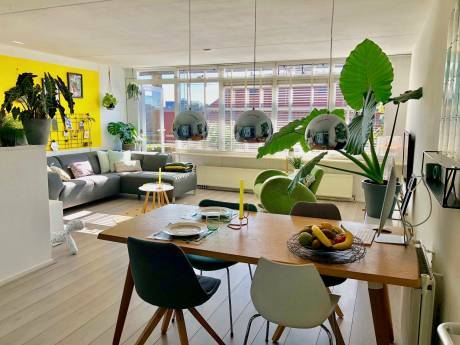 A 15 minute bike ride from the city center by bike where all the fun happens and 10 minutes away from the evergreen Sarphatipark & vibrant Albert Cuyp Market.